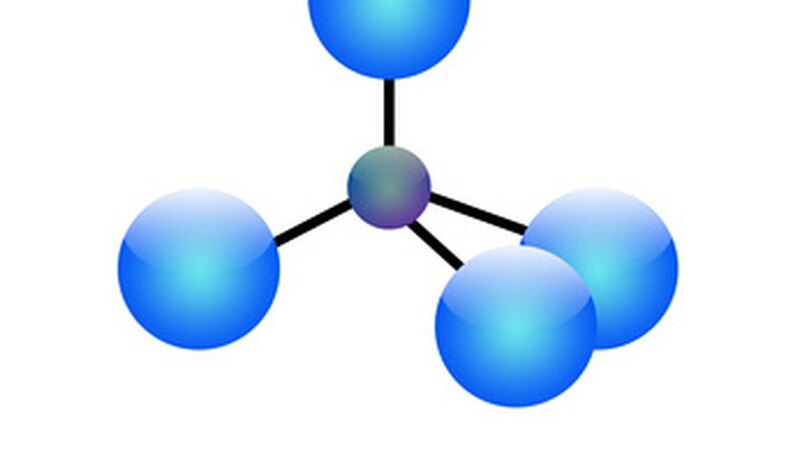 Atoms bond during chemical reactions to result in crystal formation. Crystals are defined as a solid state of matter in which atoms are packed together tightly. The distinguishing feature of crystals is that their solid form is symmetrical on all sides. The specific geometrical shape of crystals is called a crystal lattice. When the electrons of atoms combine with surrounding atoms, a chemical bond is consummated, and crystals are formed. When ionic crystals are formed, electrons jump their orbits to bond with the corresponding supporting atom. The resultant combination of negatively or positively charged electrostatic forces stabilizes ions. The physicist Charles Augustin de Coulomb defined these electrostatic forces, or Coulombic forces, in the form of a law. According to Coulomb's law, the attractive forces formed between the atoms pull the atoms together, and this action is adversely replicated because of the similar charges between the same ions. This results in a very strong bond of atoms in the crystals. These highly intense forces attribute high melting points and rigid structures to these crystals. A covalent bond, as the name suggests, is a crystal structure in which the electrons do not leave their orbits. Electrons, instead, are shared between two atoms. A shared electron in this way binds every two adjacent atoms. The bound atoms further share another electron from the atoms next to them and so on. Covalent bonding between the atoms of a substance results in the formation of a geometrical crystal. A Van der Waals bond is a weak interaction between the atoms of a substance, resulting in soft-consistency crystals. The outer orbit of the atoms is completely filled with shared electrons, but their charge keeps transferring. A hydrogen bond is formed when an atom of hydrogen is attracted toward the respective electrons of the corresponding atoms. This interferes with the crystal formation. A hydrogen atom, after being bound to another atom, is pulled toward the negative charge of a neighboring molecule. This confines the hydrogen atom between two negative charges. Hydrogen bonds are commonly found in ice crystals, where hydrogen atoms are packed tightly between two oxygen atoms. In metallic crystal formation, all the electrons from the atomic orbits break free from their paths. These clump together and form a cloud. This entire cluster is attracted by the positively charged centers of the atoms. This attraction holds the atoms together. All metals form crystals of this type. As the electrons are free to move in the compound, the crystals formed are highly conductive. What Are the Particles Formed From Covalent Bonding? What Are Crystals Made Of? Gilani, Natasha. "Types of Bonding in Crystals." Sciencing, https://sciencing.com/types-bonding-crystals-6891243.html. 25 April 2017.